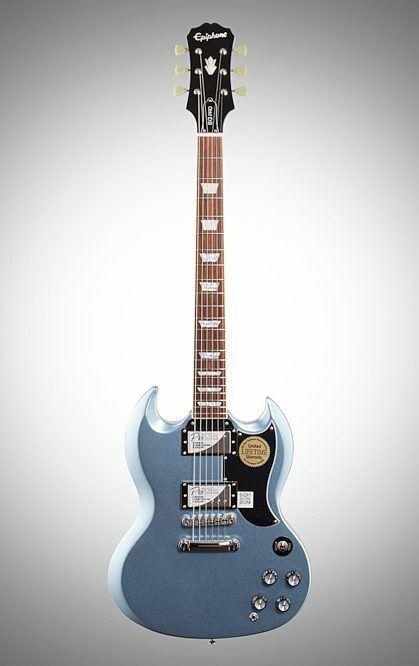 The Epiphone G-400 PRO honors the original 1960s classic "SG" (Solid Guitar) and features Alnico Classic PRO humbuckers with push/pull coil-splitting plus Wilkinson Vintage Classic Machine Heads. Available in Cherry and Ebony color finishes. 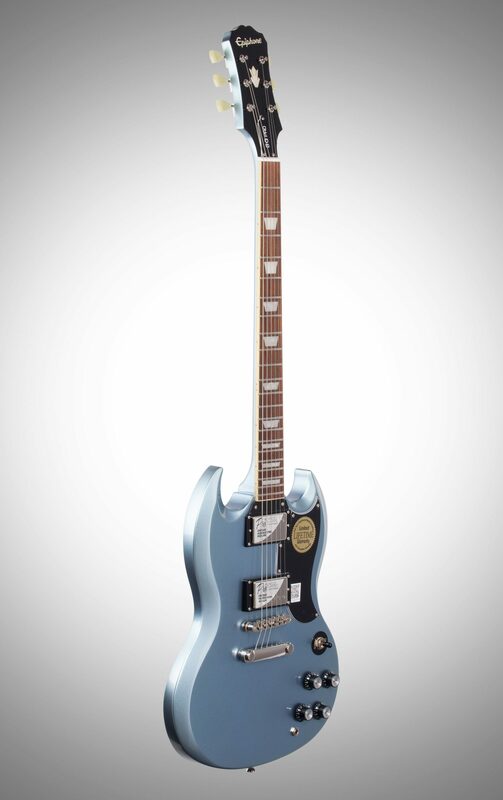 Classic 60s Era "Solid Guitar"
The modern G-400 PRO is inspired by the first generation of SGs made in the 1960s at the legendary Gibson and Epiphone factory in Kalamazoo, Michigan that produced the Les Paul and the Casino. The SG model was originally intended to replace the Les Paul, which temporarily went out of production from 1961-1968 and became of favorite of both blues and heavy rock artists. 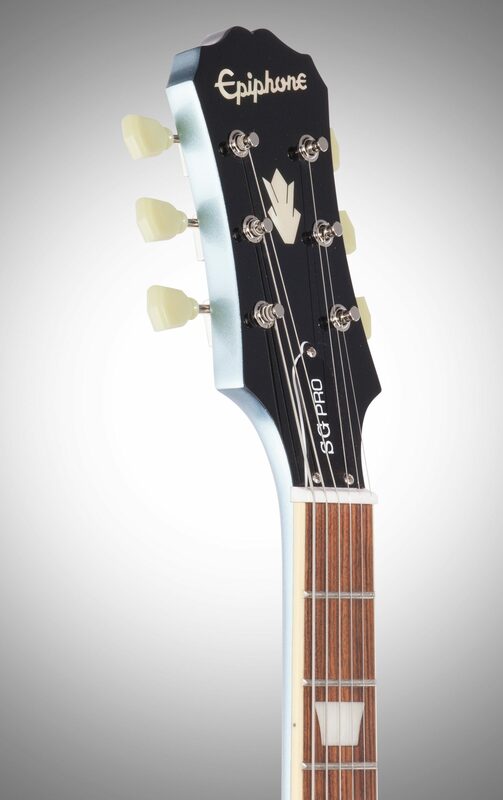 The new G-400 PRO is constructed using the same dimensions and build techniques as vintage SGs and features a Mahogany body and neck with a comfortable 1960's SlimTaper 'D' profile and a 24.75" scale length. The Pau Ferro fingerboard has pearloid Trapezoid inlays, 22 medium jumbo frets, a 12" radius, and an adjustable truss rod with a 'bell' cover. 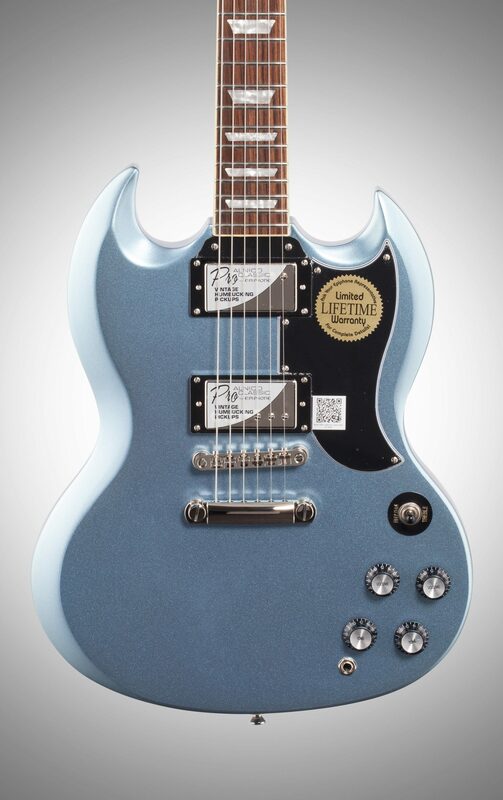 The G-400 PRO features Alnico Classic PRO humbuckers made with Alnico-V magnets, which produce a slightly higher output especially in the mid and highs. 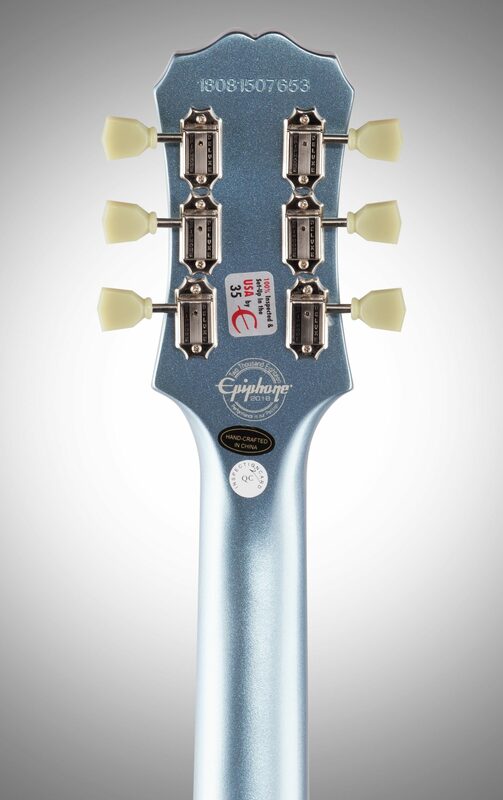 Each pickup has its own Volume and Tone control with full-size 500K O potentiometers matched with Epiphone's rugged, all-metal, 3-way toggle pickup selector switch for long-lasting performance. Each pickup also is wired for coil-tapping. 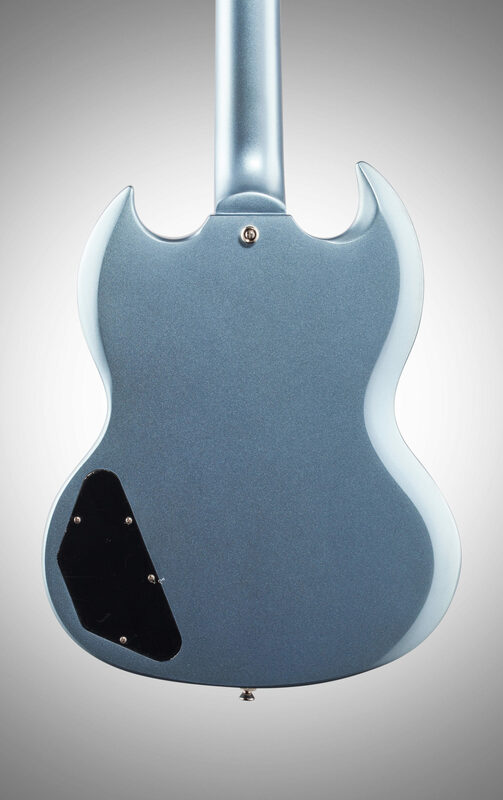 By pulling up the pickup's volume knob, the humbucker will become a "single-coil" pickup, allowing players an infinite variety of tones from single-coil bark to full humbucker bite. 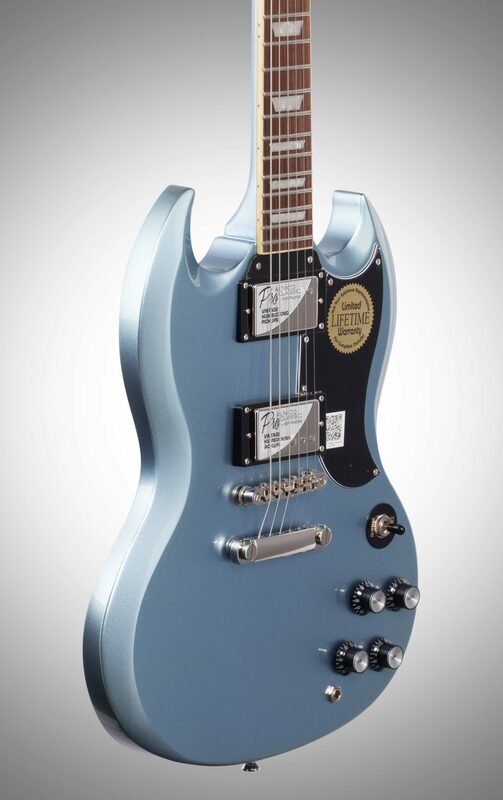 The G-400 PRO features Epiphone's legendary LockTone bridge and Stopbar tailpiece for incredible sustain along with Wilkinson Vintage Classic Machine Heads with an 18:1 turning ratio. The G-400 PRO comes in classic Cherry (CH) or Ebony (EB) finish. A left-handed model is available in Cherry (CH). 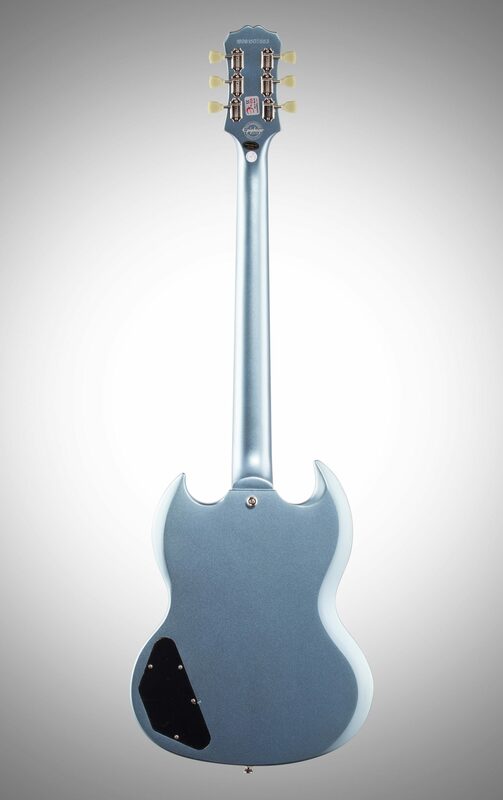 A hard case is available through Authorized Epiphone Dealers. Overall: This is a solid Axe ! Great tone and action, perfect for Rock and Blues .